SAVE MONEY when you order this discount set! Everything you need to teach the first 140 words, Add New Skills, Double Their Reading Vocabulary, and Move Students Toward Reading Independence! The PCI Reading Program is a research-based curriculum created specifically to teach students with developmental disabilities, autism, and significant learning disabilities how to read. Levels One and Two teach 280 sight words and "real-world" nouns and verbs through a comprehensive system of repetition, "hands-on" practice, controlled-vocabulary reading, and high-interest activities. Nonreaders become successful readers word by word, reading 42 engaging, full-color books along the way. 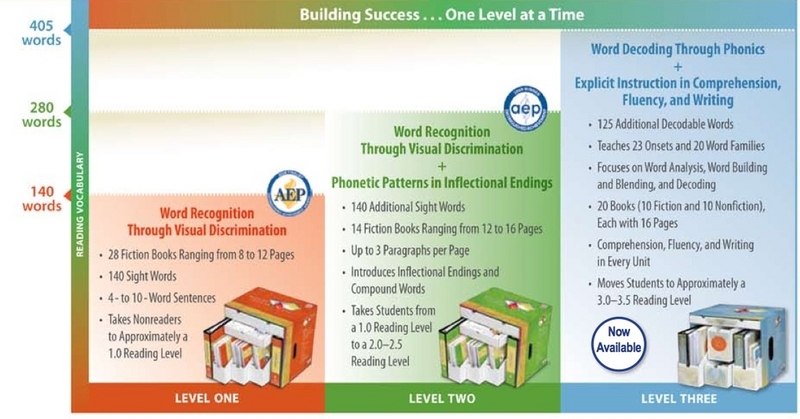 Level Three serves as a bridge between the whole-word visual discrimination approach in Levels One and Two and the decoding required of independent readers. To promote student success, instruction is carefully scaffolded to introduce students to the process of decoding by unveiling sounds that are embedded within the sight words they already know how to read. Comprehension skills, including setting, main idea, and cause and effect, were selected based on an analysis of the types of questions on alternative state assessments. Level One is designed as a one-on-one program and takes at least one full school year to complete. In Level One, students learn 140 of the most basic sight words from the Dolch and Fry lists. Students progress from reading individual words to 8-12 word sentences. 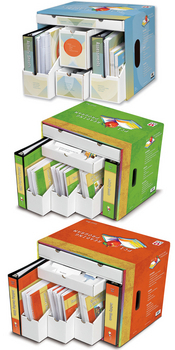 Level One includes 28 books, ranging in length from 8 to 12 pages. By the end of Level One, nonreaders will have progressed to approximately a 1.0 reading level. Level Two is designed as the next step for students who have completed Level One. It teaches 140 additional sight words and "real-world" nouns and verbs, advancing students from a 1.0 reading level to a 2.0-2.5 reading level. While Level Two's focus is still on teaching words through visual discrimination, it also introduces students to wrapped text, common inflectional endings, such as -s, -ing, and -ed, and compound words. Level Two teaches the words in groups of ten rather than five. Introduces students to the new genres of nonfiction and poetry. Integrates comprehension, writing, and fluency skills into the lesson cycle.